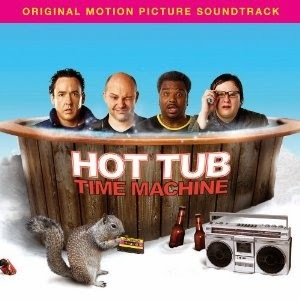 The plot of the movie Hot Tub Time Machine relied on the Many Worlds physics view of time travel. A new quantum mechanical approach may let us check to see if we really are surrounded by infinitely many universes. In a paper published in Physical Review X, physicists Michael Hall, Dirk-André Deckert, and Howard M. Wiseman have proposed a new view of quantum mechanics that may be testable in a way that could prove that it alone is the correct interpretation. They call it the Many Interacting Worlds approach to quantum mechanics. The view they're proposing is that an infinite number of universes exist, each ruled by classical physics (i.e. no quantum mechanics!) and that phenomena that we see as quantum mechanical arise because the universes can interact with each other. The theory is a twist on an old idea. Back in the late 1950's Hugh Everett proposed a Many Worlds interpretation that consisted of a superposition of infinite universes that exist simultaneously and represent every possible state. Whenever a quantum mechanical experiment is performed, according to the view, every outcome occurs in at least one of them. It's not until the experiment is done that we know which universe we're in. Like Everett's theory, the new Many Interacting Worlds approach gets rid of philosophically challenging things like the wavefunction collapse (which leads to strange stuff including the Schrodinger's Cat paradox), the special role of the observer in quantum mechanics, and the clash between the classical world and the apparent weirdness of the quantum world. In their PRX paper, the authors show that their new approach can solve the standard double slit quantum mechanics problem, and that is should work for a host of other effects. They also claim the approach could lead to better ways to model molecular interactions, which would offer new insights into chemical reactions and drug design. That's all fine, but what I'm really looking forward to sending messages to parallel universes. Think about two intersecting fields that vary (expanding and contracting) periodically. Their mutual interaction comes from their periodical variation.